Something that will give you goosebumps lol celebrating National Chocolate covered Insects…I know right?? 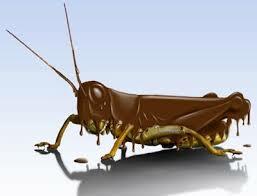 Today is National Chocolate-Covered Insects Day! Chocolate is one of the most popular flavors in the world and people will eat it on anything—strawberries, pretzels, peanuts, even bugs! This holiday honors anyone brave enough to try a bite of chocolate-covered insect. 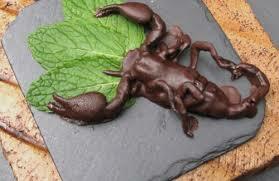 For this exotic snack, insects are roasted to perfection then coated in chocolate. Crickets and ants are the most popular variety, and most people think they taste like chocolate-covered popcorn. You can find an impressive selection online. In some countries, like China and Thailand, chocolate-covered insects are a delicacy. In Southern Africa, caterpillars (without the chocolate!) are an important source of protein for the indigenous people. Test your bravery on National Chocolate-Covered Insects Day, invite your friends over for a fear factor party, and sample this unusual treat! we’re always talking about good and positive events…just a twist today to see some interesting events…and people actually love it! so let’s not judge yeah? 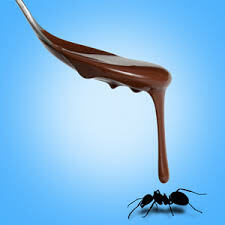 so Happy National Chocolate-covered Insectes to you!